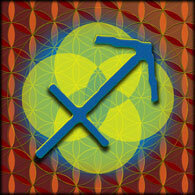 This is the month of the Libra equinox, a time of balancing out our lives. It's been an intense year -- more or less productive, and for some, a bit tumultuous. If you can manage it, take a week or two to coast and reflect on what you've been through and what you've accomplished. Your September monthly horoscopes are below. In addition to your horoscope, I have two more items to share with you. The first is for those born with Virgo Sun or rising. The second is for everyone. 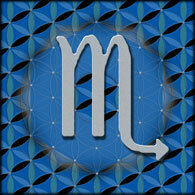 For Virgos, we have complimentary access to your 2013-2014 birthday reading. This is an opportunity to review your experiences from the past year -- and to plan for the upcoming one. 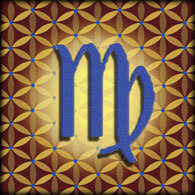 Each year I prepare a new reading for the sign Virgo, which is about to come out early next week. You can pre-order your 2014-2015 Virgo reading now for just $34.95. After we publish, the price goes up to $49.95, so now is the time to get the best rate. 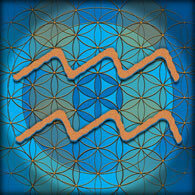 Second, I want to invite you to join our premium Planet Waves horoscope service. 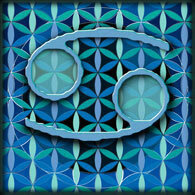 We send weekly and monthly horoscopes, astrology updates and articles to our subscribers each Tuesday and Thursday. These helpful readings give you insight into your life, and help you take full advantage of your astrology like no other horoscope written. The only way to find out how good they are is to read my weekly readings as they come out, and experiment with the ideas I present and then see what happens. For anyone who tries out my subscription service (first month is free, after that it's only $12.95 a month), I'll also include access to my Chiron in Pisces readings for all twelve signs (Chiron is currently in Pisces and will be through 2019). For those of us who are attuned to the feminine side of life, to nature, to our emotional world, to spirituality and to the planet as a whole entity, this is transit is welcome news. You can cancel your trial subscription before you're ever billed, and you can still keep the Chiron in Pisces readings as my gift. Many people have benefitted from them and I am sure you will too. My clients have said it guided them through the most challenging astrology in years, and I want you to see and feel and experience the benefits of my detailed astrology readings firsthand. If you're someone who surfs the web looking for something more meaningful from astrology, I think you'll find what you're looking for at Planet Waves. 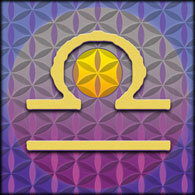 We offer you deep, useful, easy-to-follow and most of all relevant astrology. PS -- Don't forget to tune into my weekly webcast, called Planet Waves FM, which includes lots of astrology, questions and answers and a new independent recording artist every week. 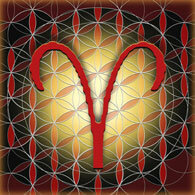 Aries (March 20-April 19) -- If you've been reluctant to spread your wings lately, now is the time to get out in the Sun, dry them off and get ready to fly. The question is less about where you want to go and why you want to go there. You seem to have set yourself free from the constraints of a situation in which you felt cornered or in which your needs were not being met. Coming through this has been a more significant initiation than you may yet recognize; you faced what you thought might be the worst-case scenario and you came out on top of the game. If you've learned one thing, it's not to make commitments that extend too far into the future. 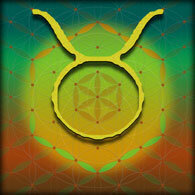 Taurus (April 19-May 20) -- Don't get so caught in the details that you snuff out your best ideas. The details certainly matter, though they are not what will carry the day. In fact, the feeling to go for is one of risk, though typically your warning threshold is set very low on this particular factor. There are times when nearly everything seems too dangerous or daring. You seem torn between one of those moments and then trusting that it really will be worth taking a chance. If you need some inspiration, consider the people you know who refuse to take any risks at all. Notice the results of that point of view, and consider whether you want that. That will light a fire in your mind. Gemini (May 20-June 21) -- You may be inclined to plan your strategy with great care and caution, though this seems to miss the point of your current endeavor. Anyway, the kinds of things you're trying to guard against are not the ones you want to bother with. In fact defensiveness of any kind will serve to close off most of the truly interesting possibilities that you have available. And it's likely that the motivation to take action will come from someone besides yourself, which is a reason to stay open to the influences of others. Bear in mind that the most influential people are unlikely to be the ones you're in 'conventional' relationships with. Pay attention to the weirdos. Cancer (June 21-July 22) -- The way to improve a situation in an intimate partnership is not to cling or control but rather to learn how to relate your needs and desires in a way that does not involve a confrontation. Start by taking ownership of whatever you're experiencing. You will find out fairly soon whether this will work. Make sure you are gentle and patient enough to allow others to see the folly of their own ways. The less you impose your will on them, the better, even if they are getting a little control freakish. Whatever they may think, they cannot impose their will on you without your consent. Remember that rather basic fact of life. Most people forget, or have never figured it out. 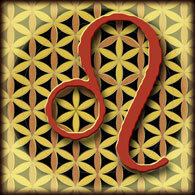 Leo (July 22-Aug. 23) -- You really need to give it a push. By 'it' I mean you and whatever you're doing. You have everything going for you right now, unless you distract yourself with goals that don't mean much to you, or get caught in your old insecurities. Therefore focus on what is meaningful, and be bold. Focus on what you've consistently wanted to do. That is a good way to make sure that something is a priority. Yes, leave some room for new ideas, places and people, but remember what you've decided will make a difference in the long-run. At the moment you have motivation, ideas and as much luck as any astrologer could honestly confirm you have going for you. Put them all together with being true to yourself and you will be unstoppable. Summer may be winding down, but your solar year is only just beginning. Eric will have your Virgo birthday reading available later in the week -- making this the perfect time to pre-order for the best possible price. Eric's birthday readings work beautifully for your rising sign as well, so if you're Virgo rising, you're invited to take advantage of some helpful, eloquent and spot-on astrology. Your reading includes a live question-and-response session with Eric (date TBA), archived in case you cannot make the live event. These conference calls have been a productive and fun way to learn about astrology and how it affects us. You also get access to last year's reading to check Eric's accuracy, and to review the past few seasons. In addition, your reading includes an extended written sign description. You can lock in the current price of $34.95 by pre-ordering now; the price will ncrease to $49.95 upon publication. If you're not a Virgo, this will make a beautiful, lasting and inexpensive gift for any Virgo in your life. 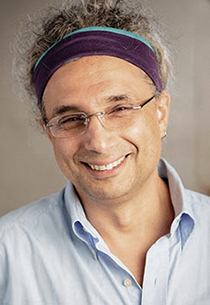 Virgo (Aug. 23-Sep. 22) -- You can tap into another kind of intelligence, the kind that's connected to your intuition; the kind that does not strictly depend on logic. I think you need to be kinder to that aspect of your psyche, and not push it off to the side, the way our society so often does. This is not as simple as 'trust your intuition'. What I really mean is fully integrate your intuition as a valid aspect of your whole nature. In everything you do, listen to how your thoughts and actions feel in your body. Consider carefully whether you're rationalizing anything, or consciously trying to omit certain facts from the equation. Notice when some factor in you says stop and when it says go. Libra (Sep. 22-Oct. 23) -- As the Sun passes through what is called your 12th house in the weeks before the equinox, you may find yourself feeling an odd kind of anxiety. The feeling is wanting things to make sense, but they don't seem to. The other side of the feeling is that things don't make sense but somehow that is OK. You can allow yourself to have two different kinds of logic for a while. It's not going to hurt you. You don't actually need everything to add up perfectly, and it's healthy to stay in that space where they don't add up. It's healthy to have a conscious relationship with the unknown. Holding that space open for a while makes the experience of discovery that much more beautiful. Scorpio (Oct. 23-Nov. 22) -- You know you're not so motivated by money, not when you look right below the surface of who you are. In truth, you're motivated by doing the right thing. You're inspired by inspiration. You trust the unseen. But since the world doesn't make a lot of room for inspiration, the unseen or the right thing, you must do so; you must be responsive to your deeper motives, and then act on what you feel. Sure, you could easily convert the current astrology into a profit motive, and current aspects will serve to benefit you no matter what. Now, however, you have access to some more idealistic possibilities, including what to do with your resources that you might ordinarily avoid. Sagittarius (Nov. 22-Dec. 22) -- If you want to make the most of the moment you will need to call yourself into focus, set clear goals and stick to them. You may have anything from a nagging feeling to being overwhelmed by the sensation of not knowing who you are. It may be that you are changing so fast you cannot get a handle on yourself. You may not be able to say for sure, but you cannot let that stop you. Think of it this way: who you are is what you do. If you want to experience consistency of Self, then practice consistency of action. If something is out of alignment, you will find out soon enough. This is a valid path to self-discovery. Waiting for the big 'aha' moment is more of a fairy tale. 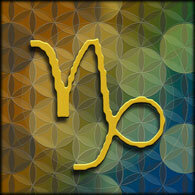 Capricorn (Dec. 22-Jan. 20) -- It seems you want to achieve more than you're capable of, though your astrology doesn't tell the story that way. You must learn what to do with your doubts, so that you can note them, and investigate them, but without letting them cripple you. Anyway, what you think are your own misgivings are likely to belong to others; if you investigate that and discover that it's true, then you're free to let them go or send them back to where they came from. You don't owe anyone loyalty in the form of undermining your own confidence. You don't have to live up to anyone's mediocrity, or their idea of perfection. Focus the strength of your mind and get ready to take action. 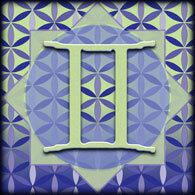 Aquarius (Jan. 20-Feb. 19) -- This looks like the month when you finally get around to pushing your income potential as related to your profession. I don't mean your job; I mean your true calling. I suggest you do this no matter how meek and mild you've been about that calling, though I suspect you've invested plenty of energy during the past couple of years. Now it's time to work the money angle. Don't fall for anyone else's ideas or pleadings related to altruism or what you supposedly owe the human race. Make sure that what you do works as a business as well as a point of access to your knowledge, skills, time and resources. 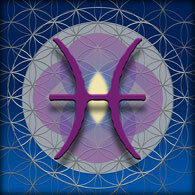 Pisces (Feb. 19-March 20) -- You must keep a realistic perspective, which for you is going to feel like being self-serving. This is true to a degree, though not like most people mean that term. It's essential that anyone who is in your life actually belongs there. It's just as important to ensure that anyone for whom you are a source of energy is in an actual exchange with you, rather than just absorbing your vibes, your love or your money. I realize this may violate your Piscean instincts, though Neptune in your sign is a constant caution about the nature of boundaries, and Chiron is insisting that you focus your intentions and your energy on what really matters. You have a mission, it's calling you right now, and you need every drop of your energy and focusing power to do what you came here to do.